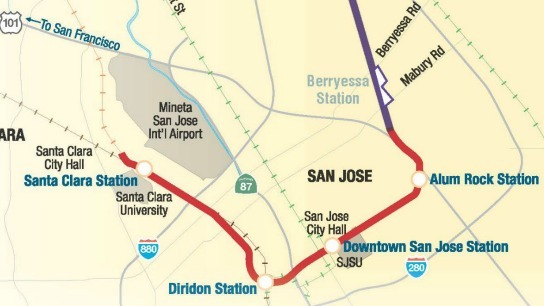 You may have heard this one...VTA is bringing BART into the heart of Santa Clara Valley. 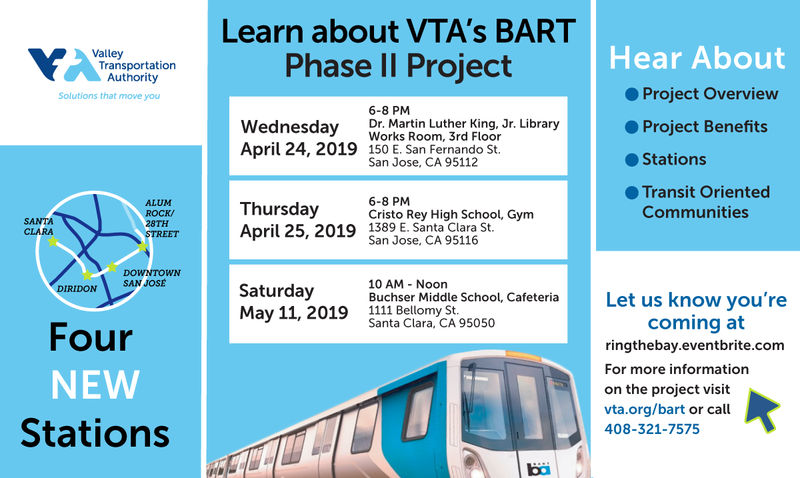 VTA is hosting a series of public meetings where you can learn about VTA’s BART Phase II Project, which will extend BART service through downtown San Jose and into Santa Clara and ring the bay with rail. VTA staff will give overviews of the project, focusing on the stations, general project and construction information, and what makes a transit-oriented community. The Phase II Project has already catalyzed economic development near future station areas and when in operation, BART expects to serve 52,000 daily riders by the year 2035. We want the community to hear all about it! We are hosting three community meetings near the future station areas. Check out the event invitation for details, find the most convenient date and location and let us know that you're coming!